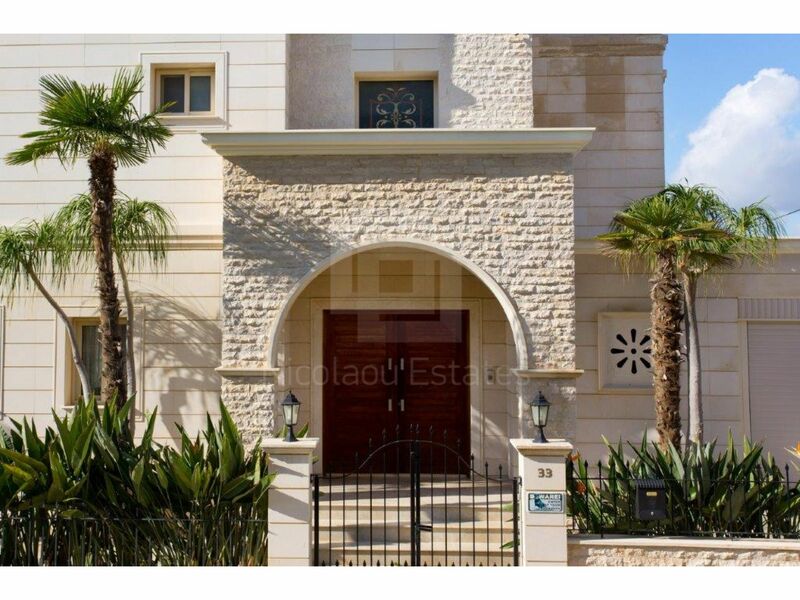 This is a luxury house available for rent. 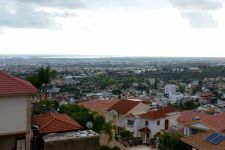 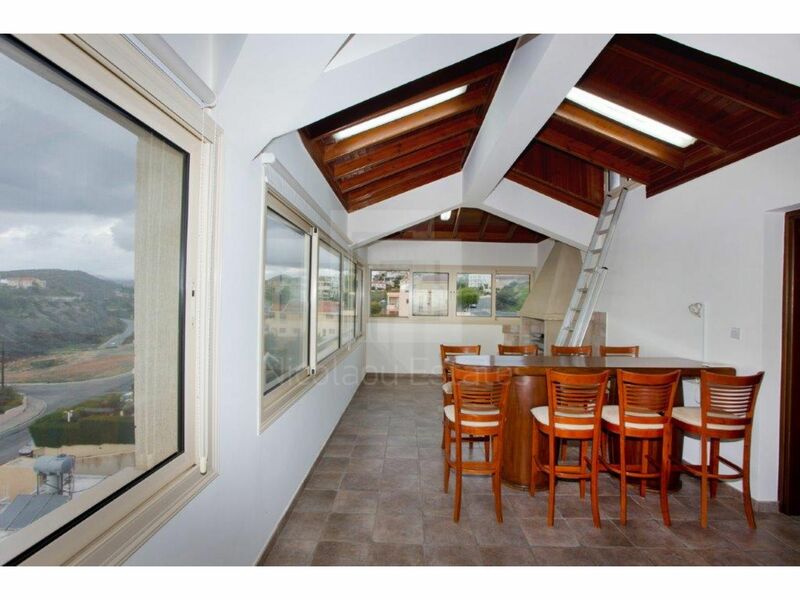 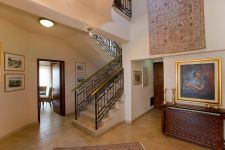 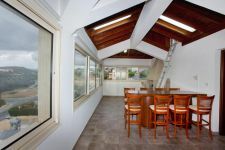 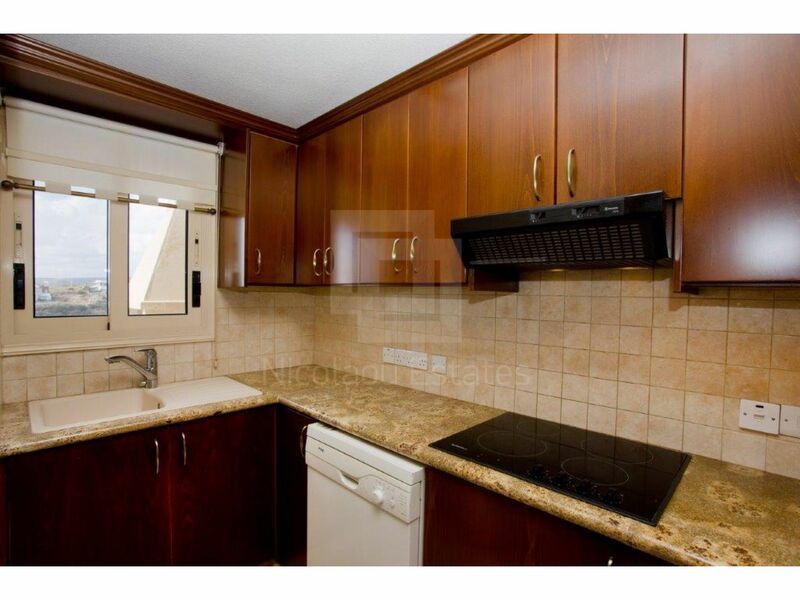 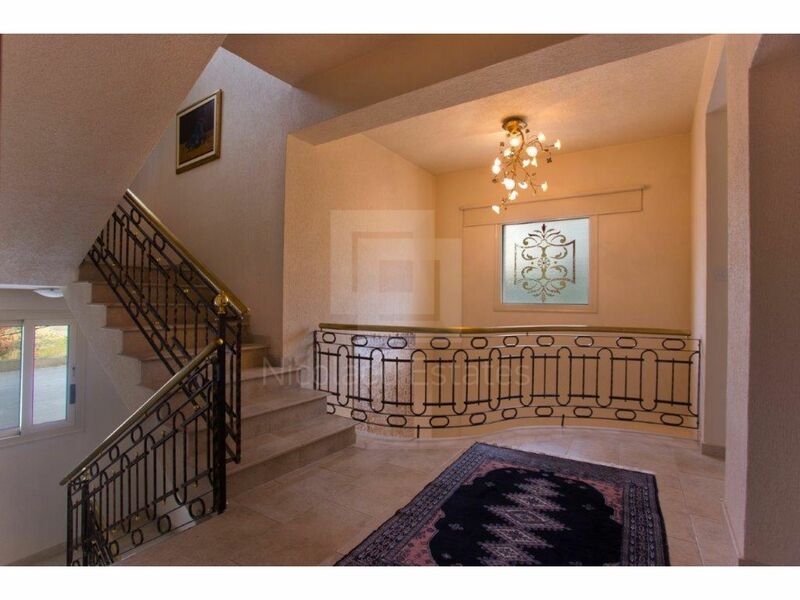 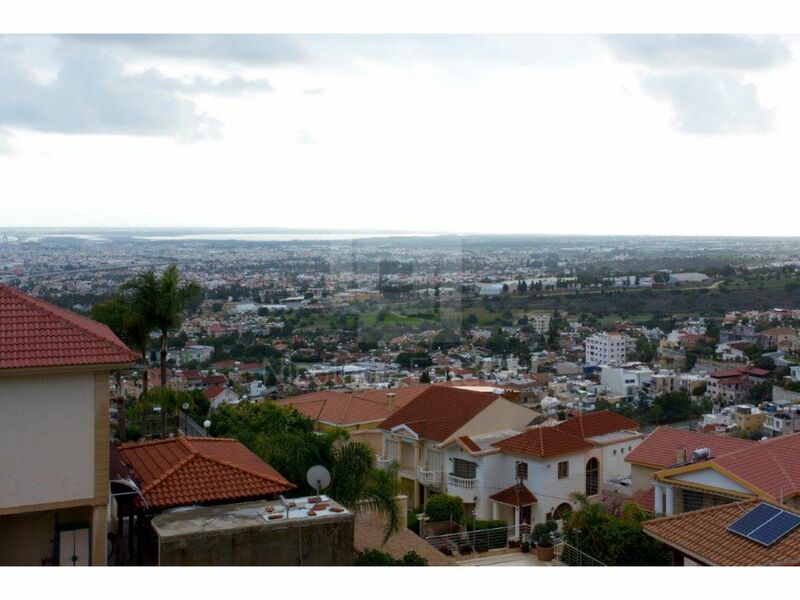 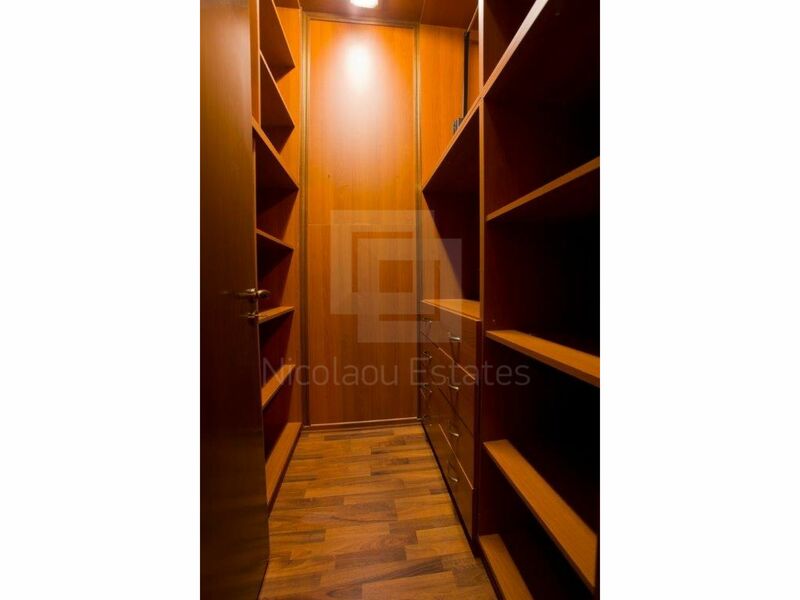 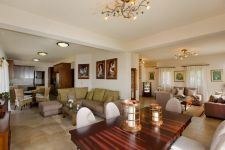 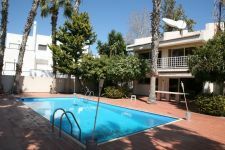 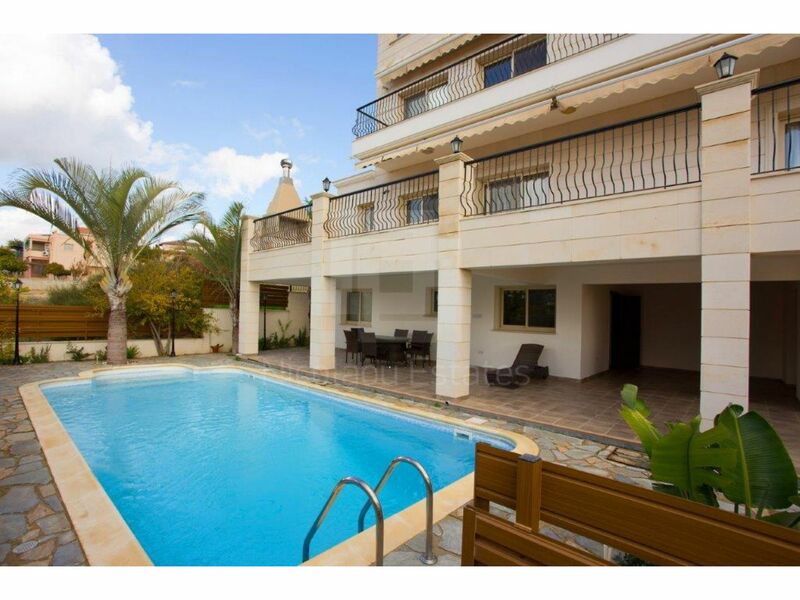 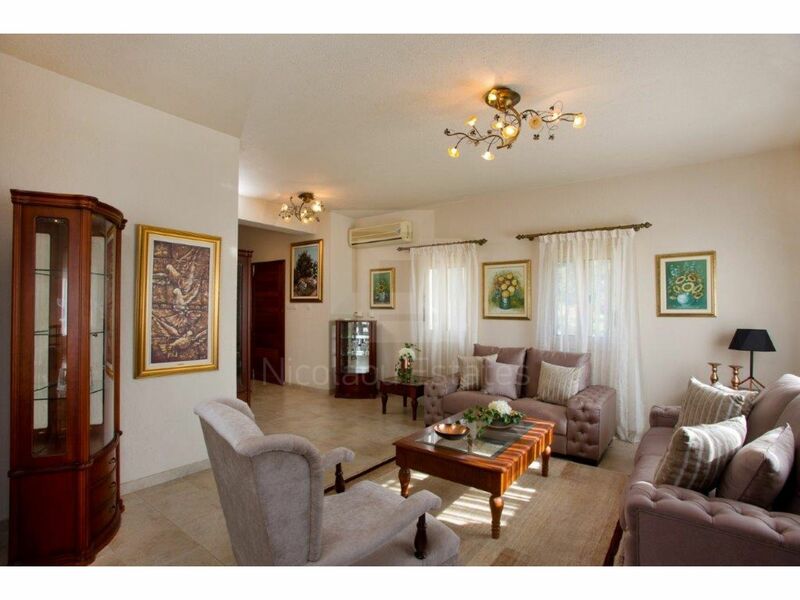 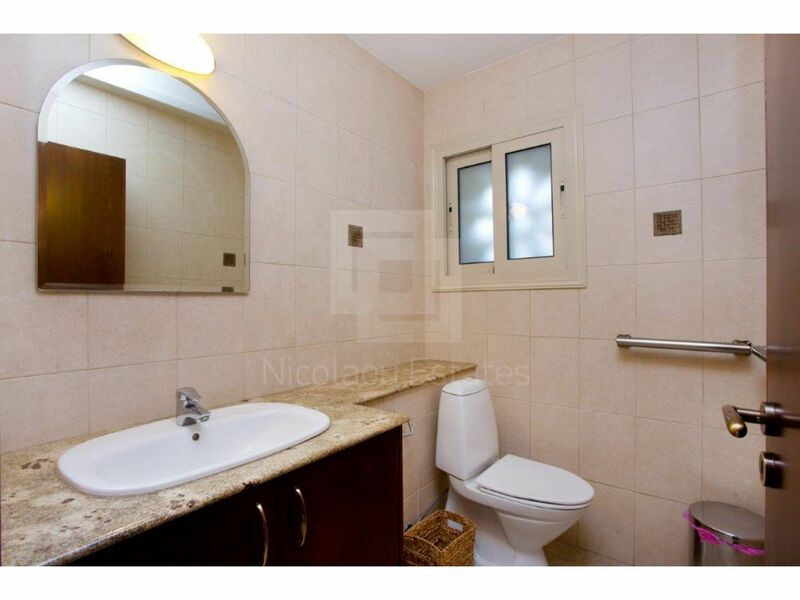 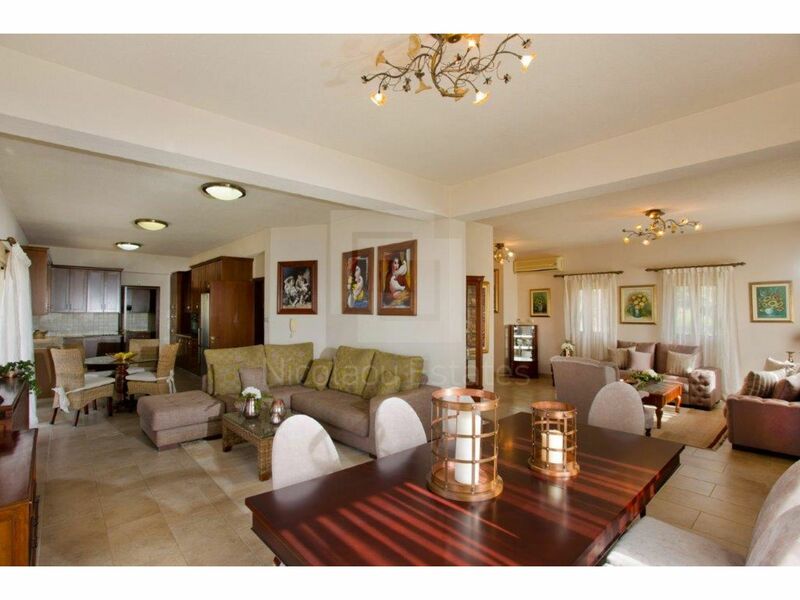 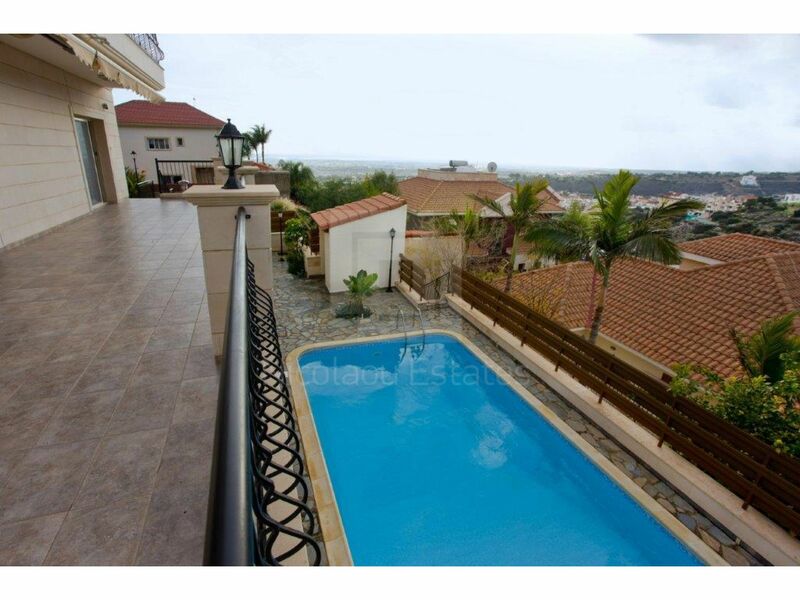 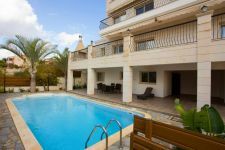 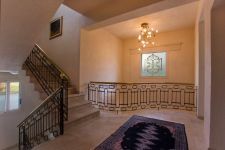 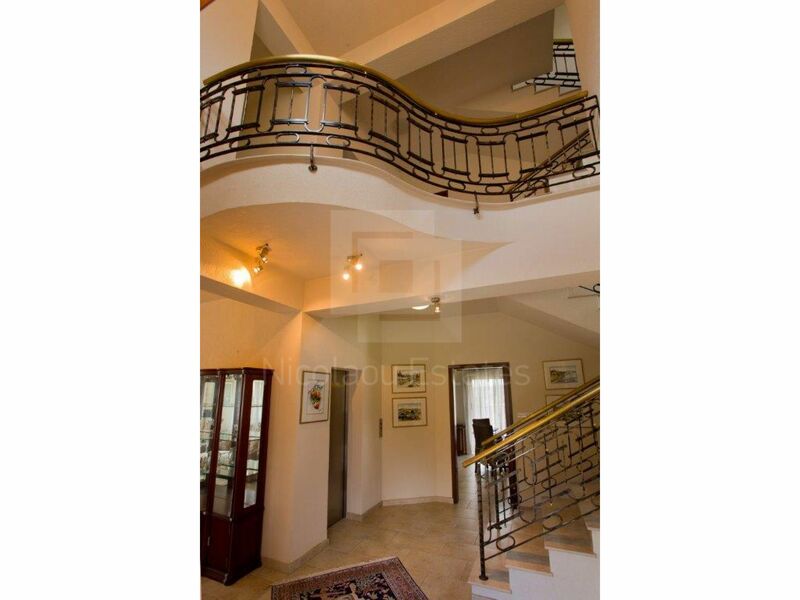 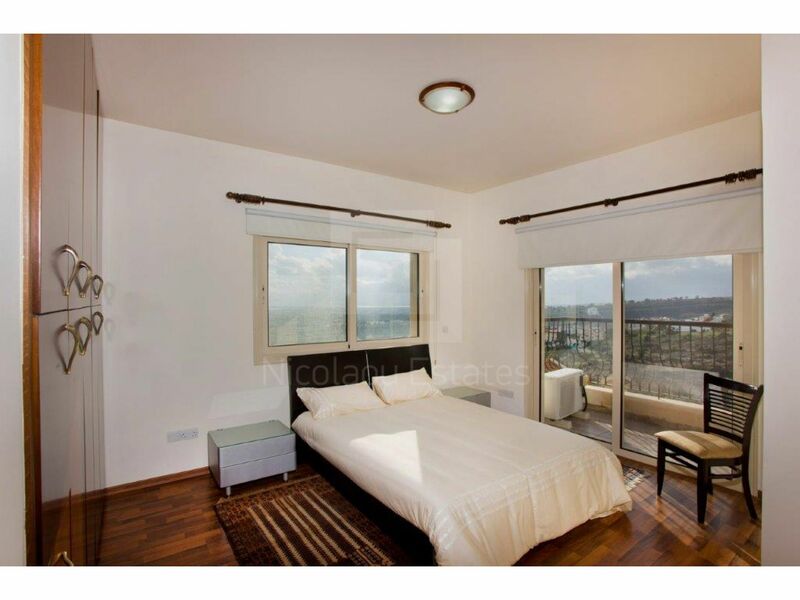 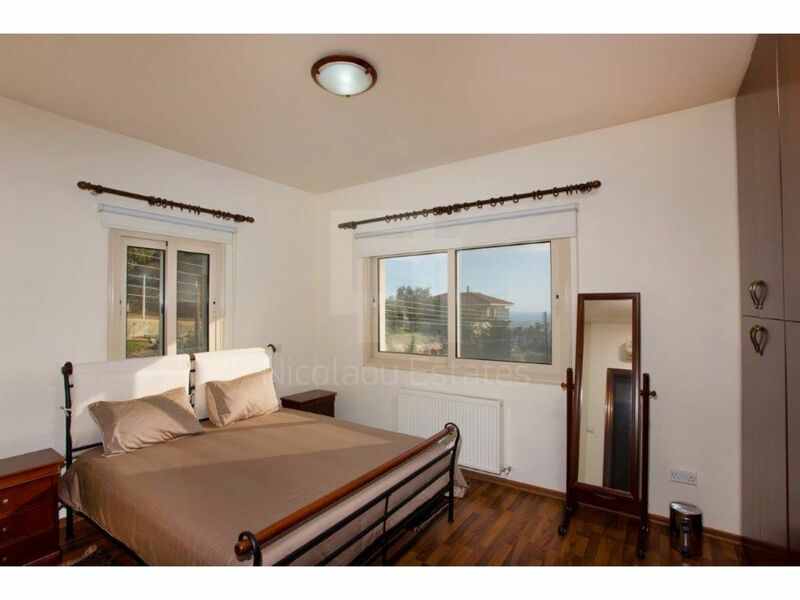 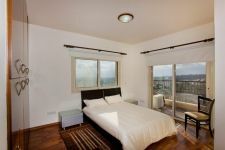 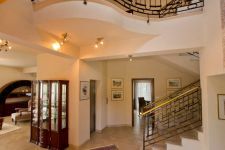 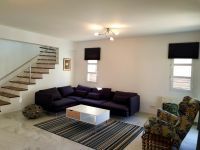 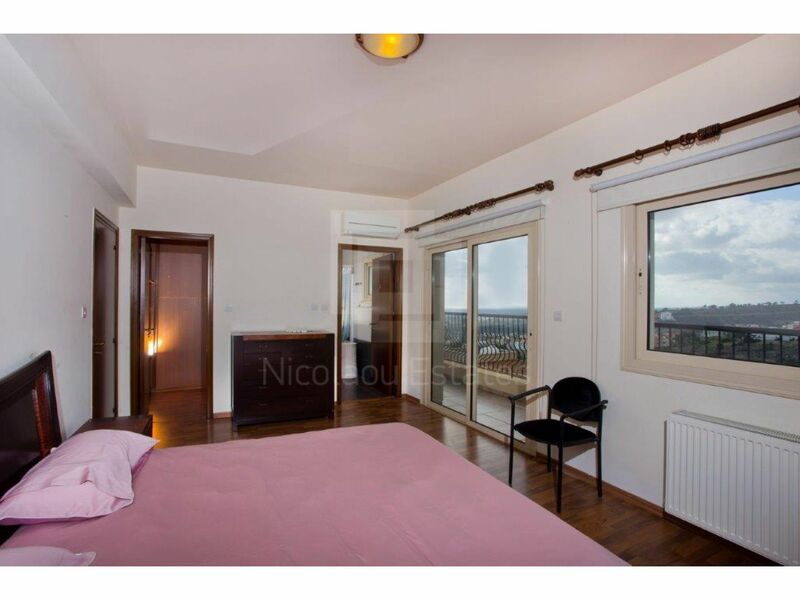 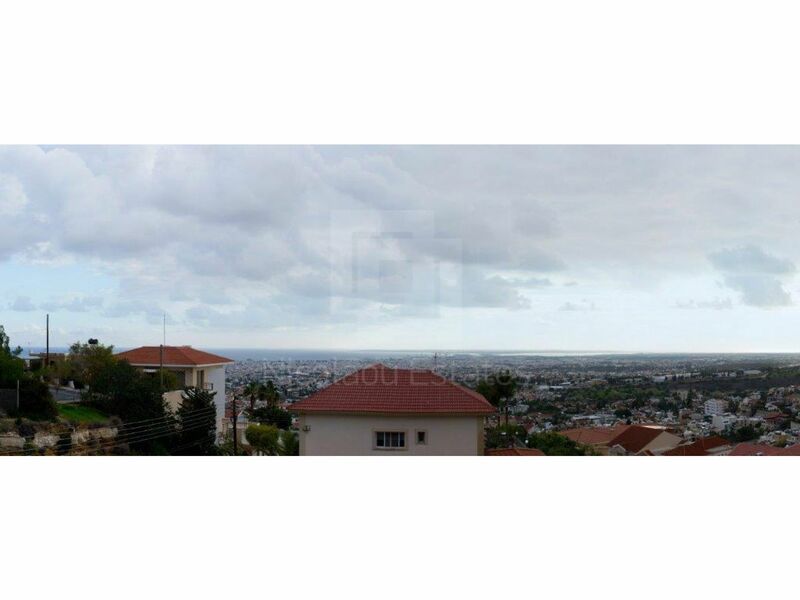 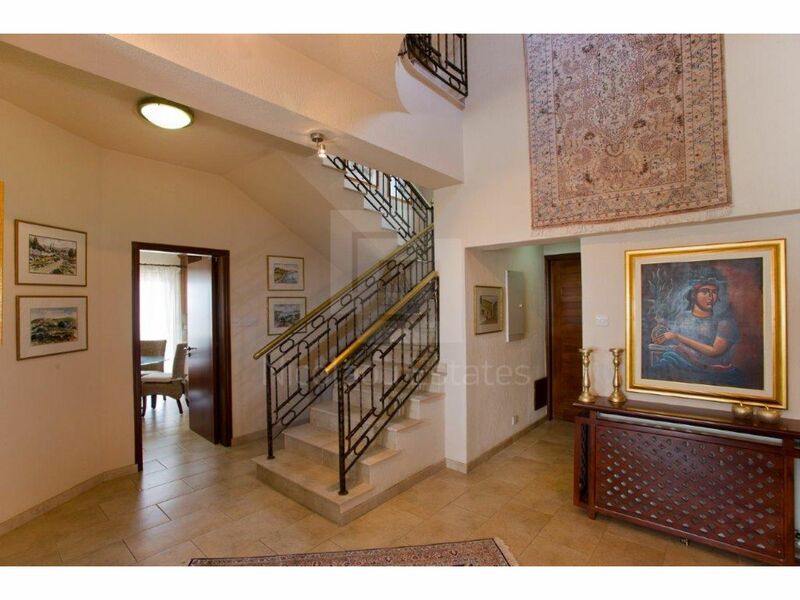 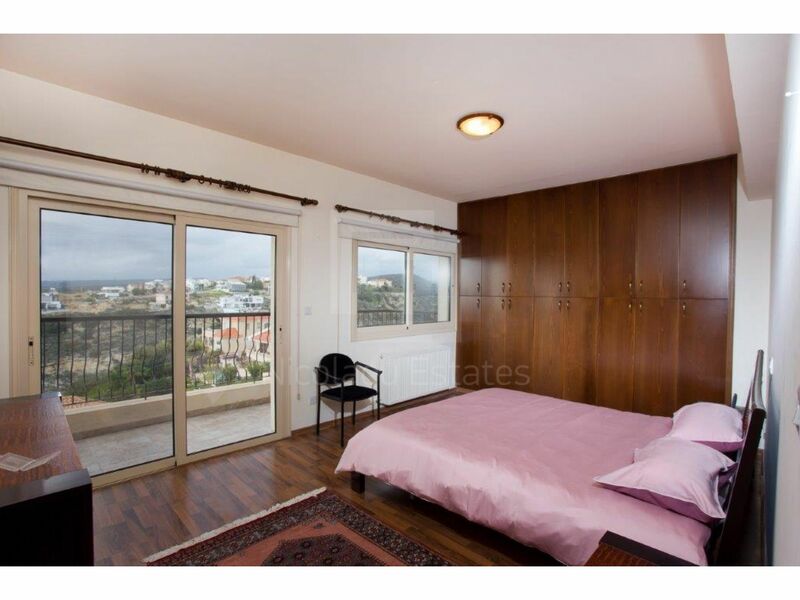 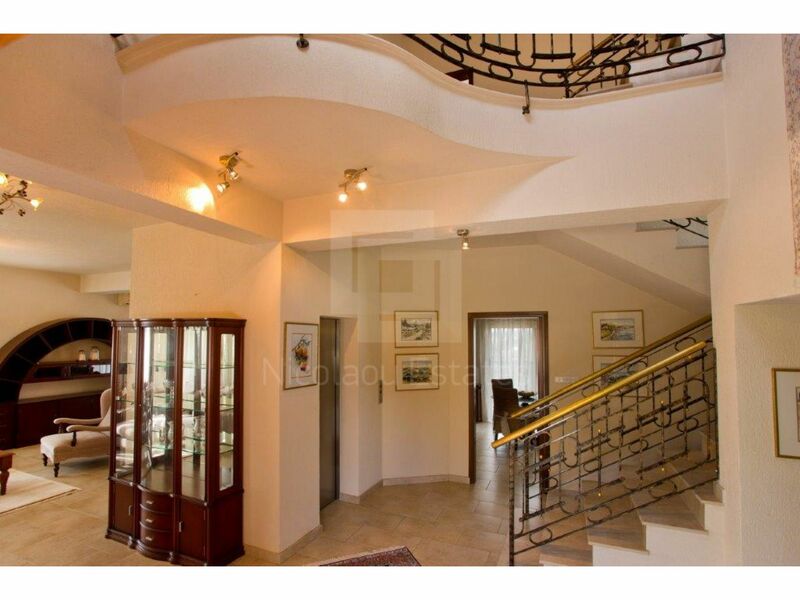 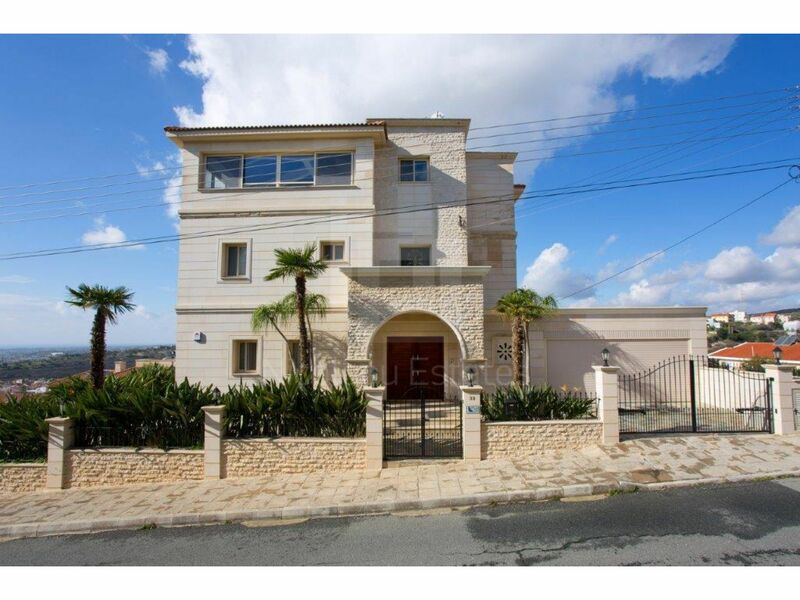 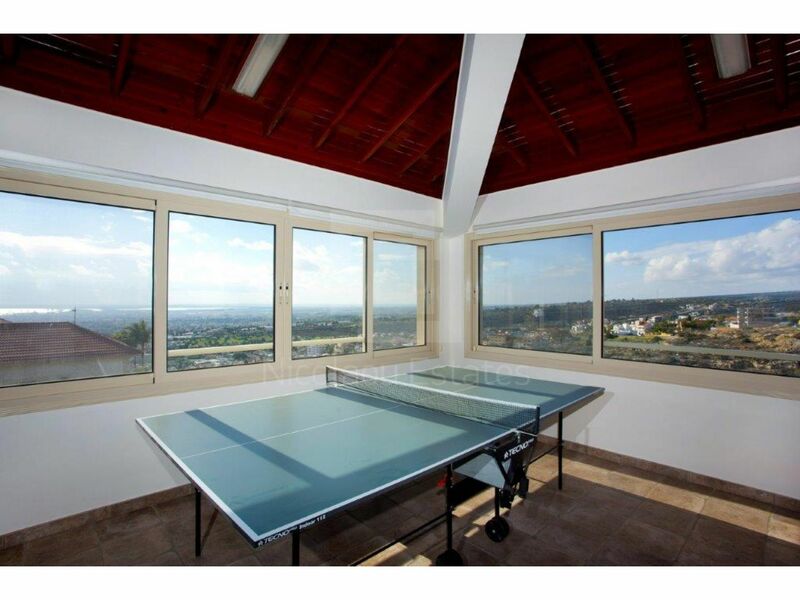 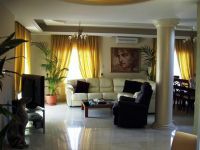 The property is located in Laiki Lefkothea in Limassol with beautiful view of the city. 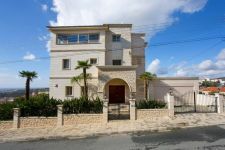 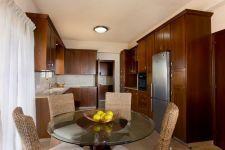 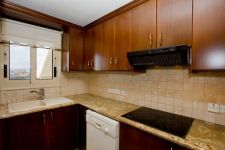 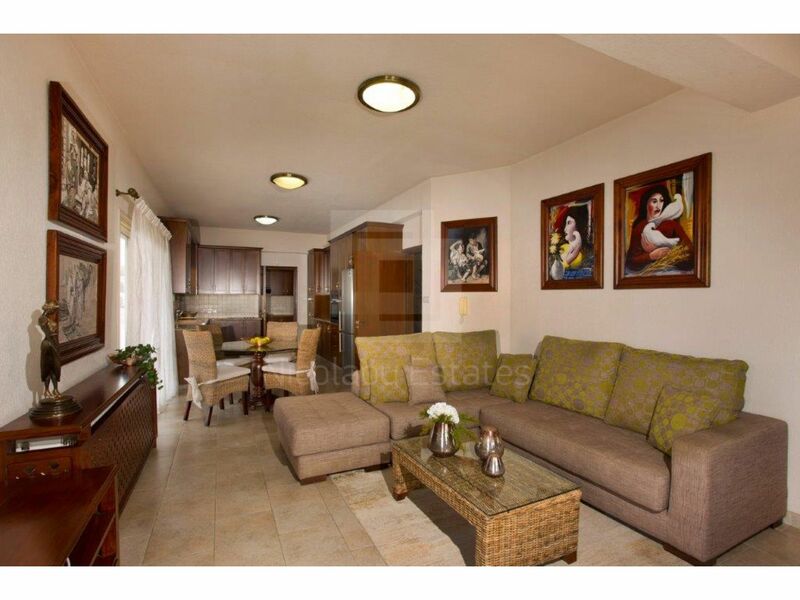 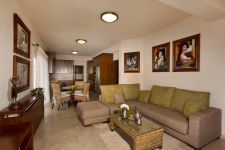 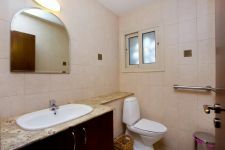 It is in an excellent condition and fully renovated. 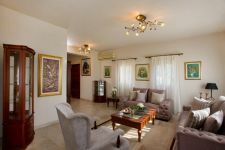 The ground floor consists of a living room, a dining area, Tv room, kitchen and dining table set, kitchenette and a guest toilet. 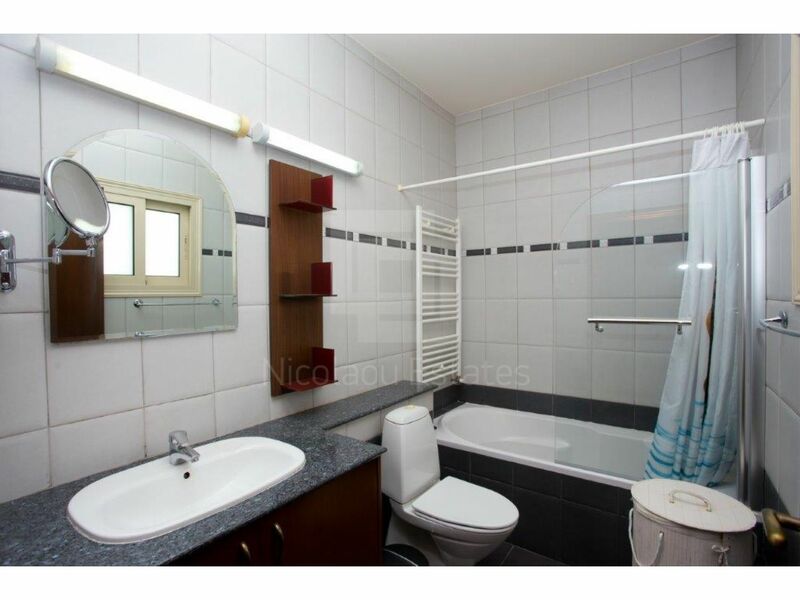 It has also a lift. 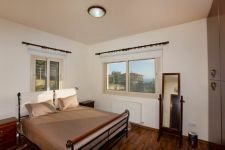 The first floor consists of the master bedroom with bathroom and walk in closet, two other bedrooms, a bathroom and a lift. 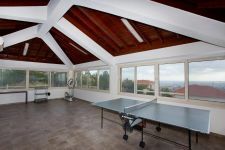 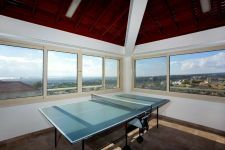 The second floor consists of a roof garden area closed to be used as an extra apartment or play room / gym / or as an open roof garden. 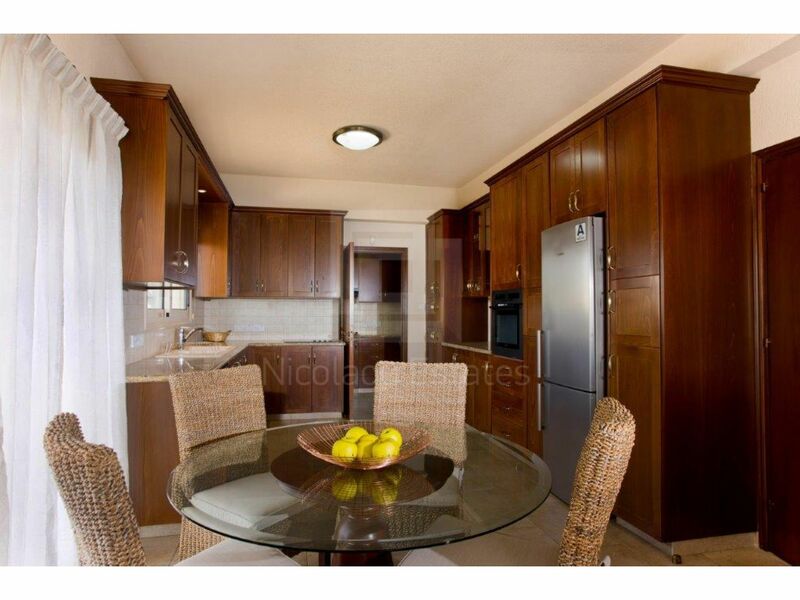 With bar and barbecue , fully air-condition, kitchenette, toilet and a lift. 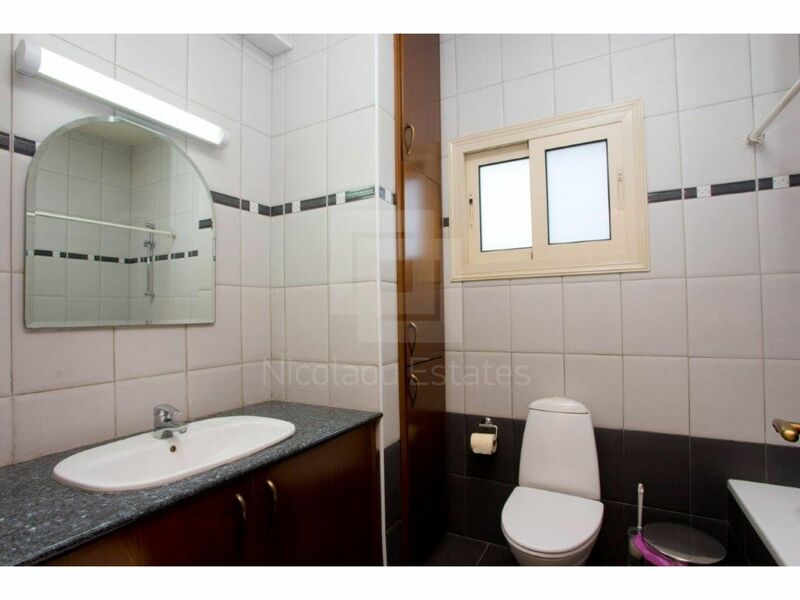 The basement has a swimming pool, a bedroom, kitchen, shower and toilet. 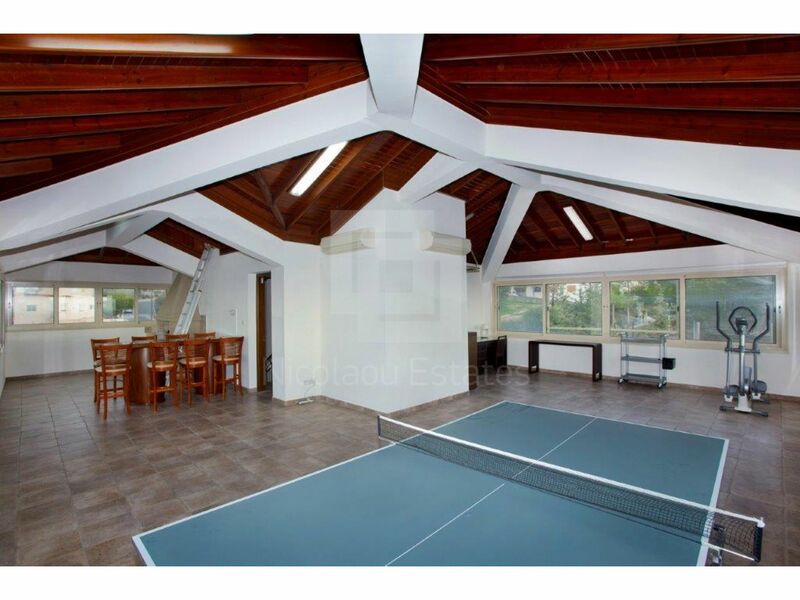 It has also warehouse and a lift. 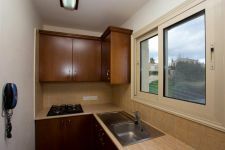 The property has special security system of latest technology and safe box. 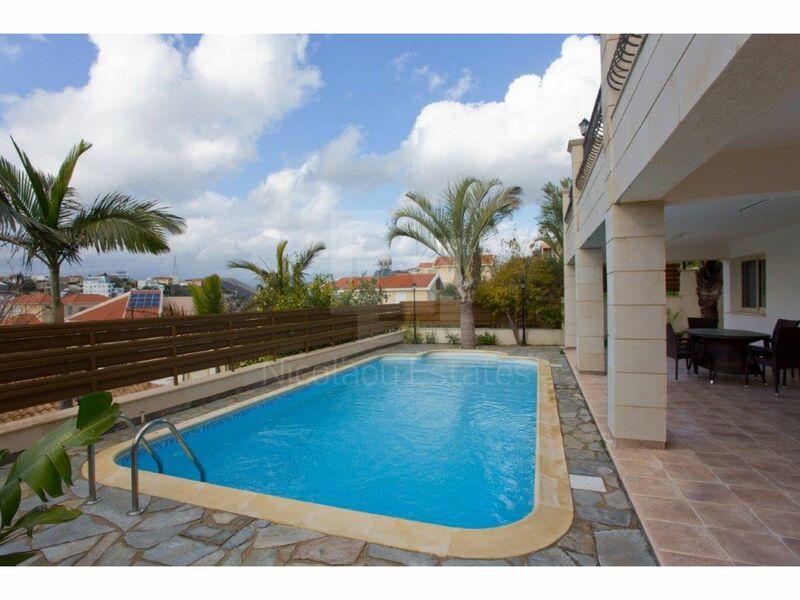 Fully air-conditioning and heating unit system with gas and a swimming pool with salt system. 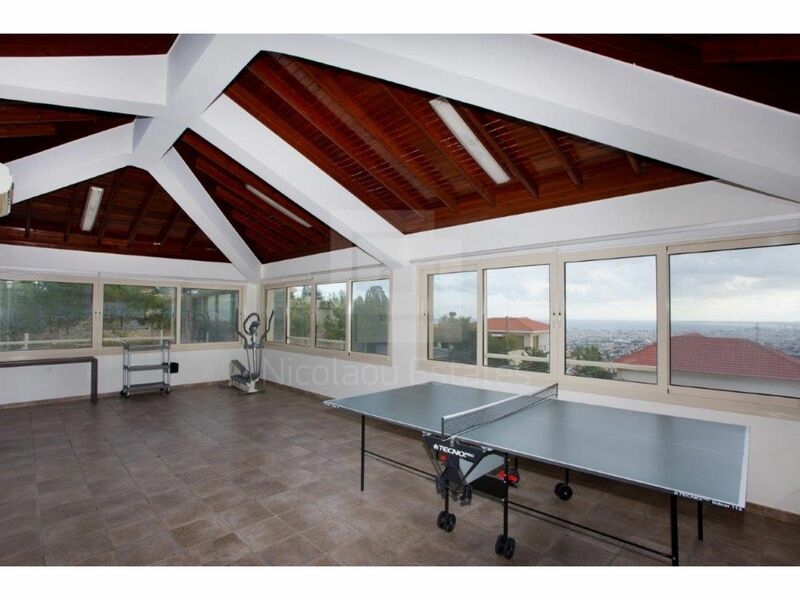 It has also two covered parking areas with electronic gate, private automatic irrigation system for the garden. 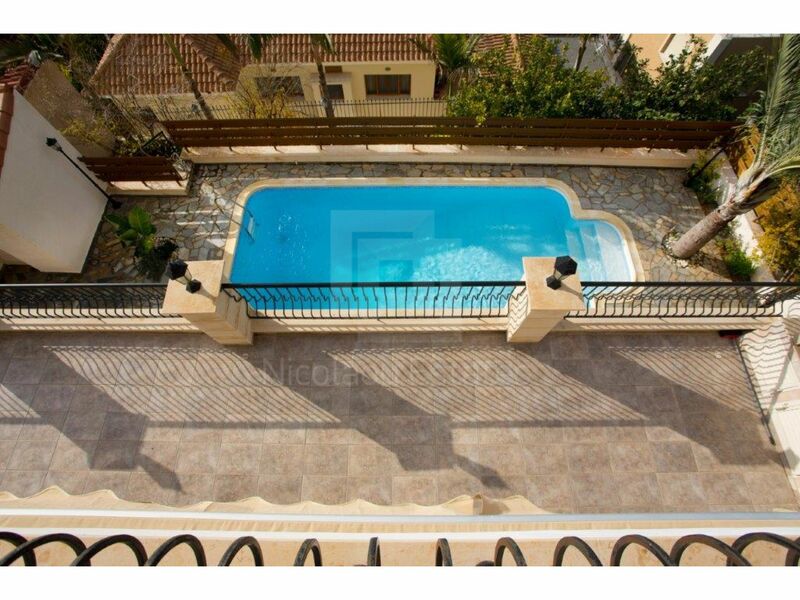 *In the price is included the maintenance of the garden and the swimming pool. 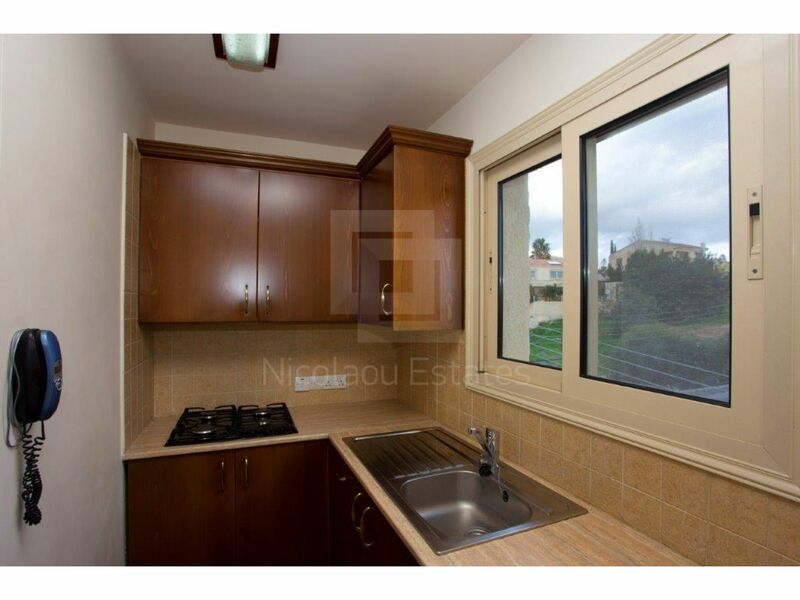 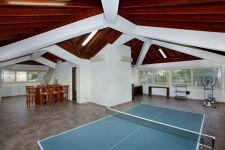 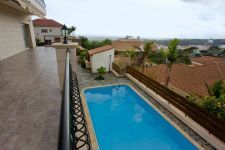 This 4-bedroom detached house in Laiki Lefkothea, Limassol is being offered archived (rent) at EUR 3.900.